A group of rhino is called a "Crash". But this title is about more than that. Rhino numbers are crashing. And crashing terribly fast. Rhino poaching is on a seemingly unstoppable rise on the back of increased demand for their horns in the East (China, Vietnam, etc), where it's (falsely) believed to have medicinal and healing properties. At the current rate of increase, the death rate will probably overtake the rate of new births sometime during the next year or two, with extinction becoming a reality not long after that. What can we do to help? Besides funding conservation and anti-poaching efforts, not much. You can do a small part to spread word through social media and help educate end-users that their purchase of rhino horn powder or carvings fuels the death of the species. First off - sign THIS PETITION. Done? Good, thanks. 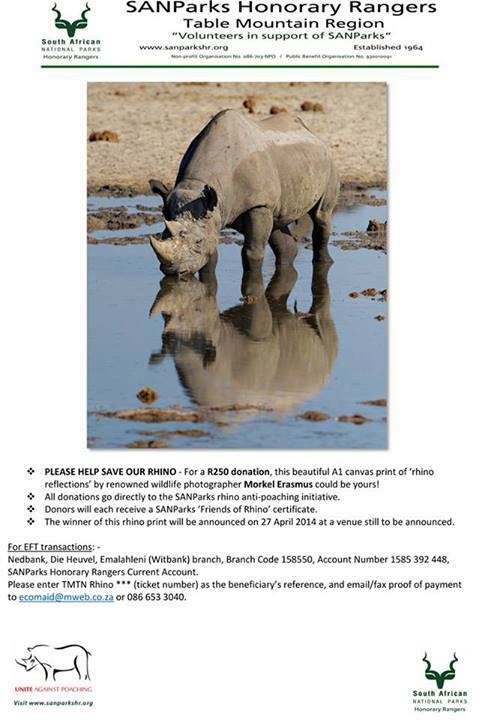 If you want to contribute R250 (ZAR) to anti-poaching efforts in the South African National Parks, you can buy a raffle ticket from the Table Mountain Honorary Rangers. 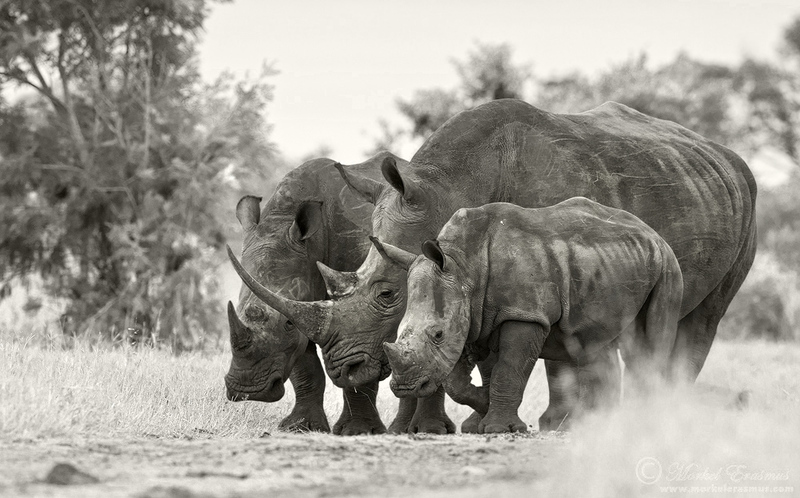 They are auctioning an A1 print of a rhino photo I donated. Up to now the amount gathered from this auction exceeds R23,000 (about $2200), and there are still 8 weeks or so to go. Contact Diane Brooks (ecomaid@mweb.co.za) or Michael McSweeney (m.mcsweeney@mweb.co.za) for more info and payment details. I for one hope that my children's children can one day still see rhinos living free in the wild places of Africa. It may be far-fetched, but without a glimmer of hope, where would we find strength to fight this evil scourge? ?